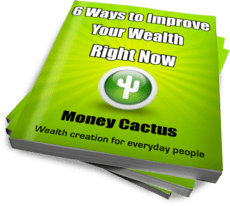 In this post I’m going to introduce you to the wealth equation and show you a simple approach to creating wealth that will work every time. Finding your passion will make a huge difference to everything you do. Here are some ideas about how to find your passion and increase your personal wealth. Many people think that those who take an interest in their personal finances are only motivated by money. I’m not sure what motivates you, but for me it really isn’t about the money at all. Paula from Afford Anything has been blogging for less than a year, but I already love what she has to say. Check out my interview with Paula to see what I like so much about her approach to personal finance.